They say that the numbers don’t lie and the most current Arizona car accident statistics predict that chances are very good that you will be involved in a car accident or other motor vehicle collision. If you have been in a car crash the Chiropractors at Collision Injury Chiropractic want you to protect your rights as well as your health. Our chiropractic teams’ primary goal is for you return to a state of health prior to the accident in question and to help you to recover the maximum amount of compensation obtainable from the at fault party. We work with over 30 Phoenix accident law firms that will represent you and your loved ones if you have been involved in any type of motor vehicle accident in the state of Arizona. It’s likely you have several questions about your accident and which steps you should take next. Give us a call for a free consultation. If you were a victim of an auto accident, it is critical to realize that in Arizona there is a general 2 year statute of limitations (in some cases this can be limited to 6 months). Time is not on your side if you have been injured in a car crash. Legal actions must be filed as soon as possible and within this time parameter to protect your rights to be compensated for bodily injury as well as for property damage. Auto accidents and motorcycle accidents are very stressful and typically present you with bodily harm as well as personal property damage to your vehicle. Here is a step by step list of things that are essential to do. 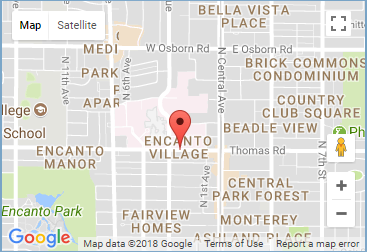 Create a record of accident events including the time and date they happen. Organize your insurance paperwork, accident records from the opposing driver, and any other statements from witnesses. The more organized the info you collect, the more valuable it is. Your smart phone is a great way to document the Phoenix auto collision that you have been involved in. Take pictures of the opposing driver and the damage to both vehicles. Take videos of the accident. Be sure to take longer videos and pan across the vehicles slowly so that damage can be seen clearly. Obviously, if you are at the scene of the accident you may be required to sign police reports. However, if you feel the officer is incorrect then do not sign the document. Also, realize insurance companies will ask you to initial and sign documents that may waive your rights to receive appropriate compensation for injuries as well as property damages. Time is on the side of the insurance company. They know this and use it to their advantage. When you are in pain and you are trying to get your transportation needs under control, it may seem logical to just accept an initial offer because you would like to get your life back in order. Stay the course, because insurance companies will attempt to get you to settle for less than your case is worth. This is exactly why you should hire one of the 30 experienced Phoenix personal injury lawyers to help you through this complex process. Remember, you only get one chance to settle with the insurance company. Once you sign, you cannot retract the agreement you have made. Following an Arizona auto accident, the opposing insurance company and sometimes your insurance company will call and request a recorded statement. The insurance company has trained adjusters that will ask you leading questions and it is very easy to unknowingly say things that will damage your case before all the facts are on the table. Give us a call for a free evaluation and let us protect your rights to be compensated to the maximum legal allowed amount for your bodily and personal property damages. You have the right to Medical treatment, which can be expensive. Plus, you need a clean bill of health from your Doctor of Chiropractic or Medical Doctor before you settle your case. Injuries take time to heal. Insurance companies are uniquely aware of this and 100% of the time the insurance company is motivated to settle your claim quickly, which is usually before you have been released by your healthcare provider. This post-accident process is stressful and very complex. You may have uninsured (UM) and under insured (UIM) motorist coverage, as well as medical insurance. You need to be aware of the best possible course to take and which insurance you are legally able to apply. Also, you may have valid insurance coverage on your personal automobile insurance policy. As an accident victim determine if you have a right to recover from one or more of your insurance policies. Have you been injured in an auto accident? 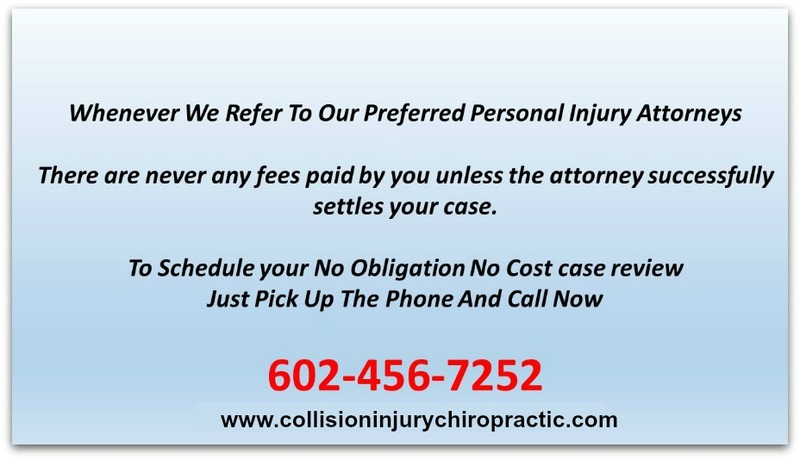 We will help you find A phoenix car accident lawyer are available to speak to you today. It is always advisable to seek legal consultation prior to making any statements to insurance or claims adjusters as any and all information you convey to the insurance company or their representatives may be used against you or your loved ones when settling your case. At Phoenix car accident dot com you always speak to the actual attorney representing you. We promise to provide the individual attention that you need and deserve.